We are nearly at the end of what has been quite a strange term. The term was short enough already, with plenty to pack in, without the flu epidemic in the first half and the Beast from the East, together with Storm Emma, after the mid-term break. That caused great disruption and broke the continuity of teaching and exams, but at least we managed to keep going, albeit in a limited way. 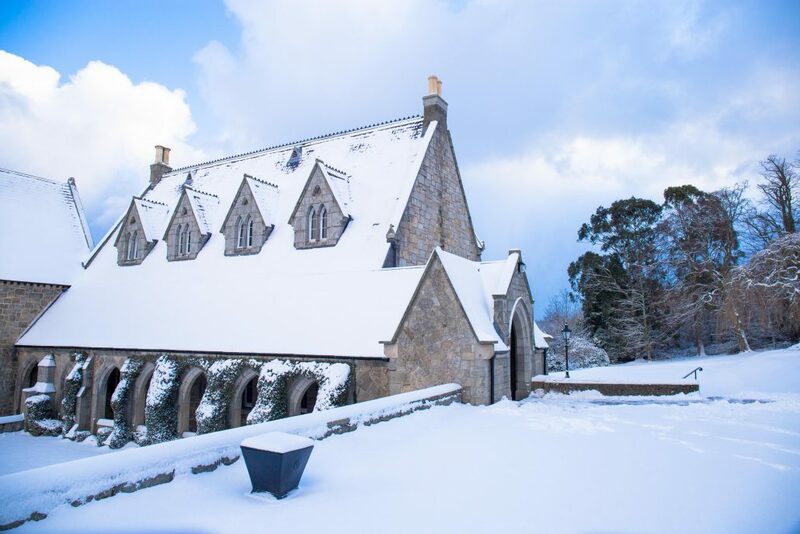 I am very grateful to house staff and their tutor teams for managing to keep their charges happy, as well as fed and watered, in part due to the heroic catering staff who trudged through the drifts when they could easily have stayed at home, because they were concerned about the welfare of the pupils. One of the maintenance team even came into work on his own tractor to help clear paths. On the Friday evening I went round all the houses to see how everyone was getting on and to make sure that everyone had enough to eat. Everyone seemed very happy and they had all fed well, even if there was a large emphasis on pasta. No one went hungry and I think most appreciated the efforts of the staff to look after them. A lot of the house staff also had their own children running around at home unable to get to school, to add to their stress. I guess it would have been easy to moan and we all have a tendency to that at times. It made me think about the importance of being grateful for what we have as individuals and also as a community. If anyone doesn’t agree with me just turn on the news and see the suffering and the injustice out there. We are very blessed here. There is a story in the gospels where Jesus meets ten lepers, outcasts from their community. They would not just be disfigured but they had to ring a bell wherever they went so that people could avoid them and they had to live in colonies outside of towns, so the disease destroyed every aspect of their humanity. These ten men came to Jesus begging for him to heal them. He sends them off to the high priest and as they go they all realise that they are healed. However, while nine of them rush off home, only one of them bothers to turn round and return to Jesus to thank him for having mercy on him. What is more it turns out that that one is a foreigner. The locals obviously didn’t think that they owed any anything to Jesus at all or even if they did they did not think to thank him. It is almost as if Jesus is saying that physical healing is one thing but unless your heart is also changed that healing is incomplete. Being grateful makes us better people and that is where the real healing happens. My parents always made me write thank you letters after Christmas and, although I cursed them for it at the time, it was a vital lesson for me to learn. I think it is very important that our Columbans learn to be grateful for what they have and also to express it. We all know how it makes us feel when we are thanked, because it makes us aware that we are not being taken for granted. So I want to make a point of reminding the pupils to thank their teachers, the office staff, the catering staff, the cleaners, the nurses, the bus drivers, even the staff at Lidl’s. It does something to people when they are thanked and it does something to us too when we thank others.